We gained our experience in 2005 after Hurricanes Katrina and Rita that affected both Louisiana and Texas. 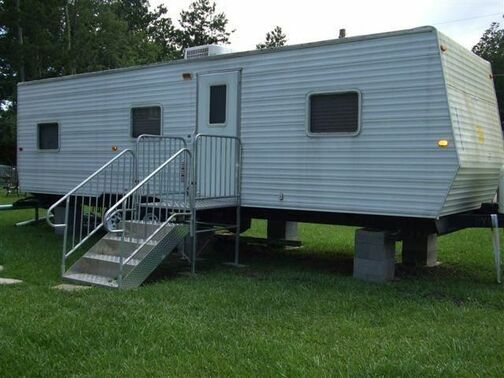 FEMA provided travel trailers to thousands of Louisiana and Texas residents in an effort to provide housing while people began the rebuilding process. In December of 2005 the Louisiana Department of Agriculture and Forestry placed 10 parishes under a Formosan Quarantine Order, which required that all FEMA trailers be inspected against Formosan termites before they could be removed to prevent the spread of Formosan Termites to other parts of the country. Blue Star Pest Control was one of the few Pest Control Companies in Louisiana that received approval from the Louisiana Department of Agriculture and Forestry to perform the Forsoman Termite Inspections on the FEMA trailers, before they were removed from the quarantine area. We created a department that could perform 300 Termite Inspection a day for FEMA. We worked with several Deactivation and Service companies that utilized our services. We provided FEMA detailed weekly reports and we maintained a FEMA trailer database that allows us to track, manage, and process billing for FEMA submission on a timely basis. We performed over 17,000 FEMA trailer termite inspections in Louisiana and provided monthly Pest Control services to over 1,500 FEMA trailers located in the State of Texas. We coordinated the proper staffing and certifications needed to perform Pest Control Services in the State of Texas. If you are in need of these types of services, please contact us to set up an initial consultation. ​Click here to contact us if you are in need of these services for your Company.